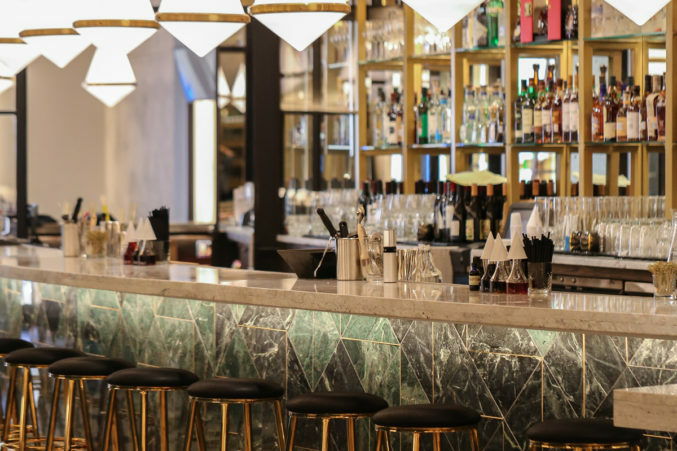 Plush emerald green seating, black-and-white tiled floors, marble tables with brass accents, and mirrored walls create a luxurious and decadent vibe at this trendy lounge in the Dallas Design District. Sip the Two and a Half Roses, a blend of mezcal, fresh grapefruit juice, honey syrup, and rosé champagne or order bottle service at one of the private tables. Expect a crowd dressed to the nines, ready to dance to vinyl-only tunes spun by a DJ.